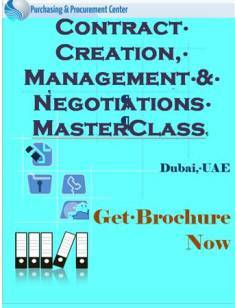 In the meanwhile, you can also download the brochure for the latest contracts in Dubai training below. 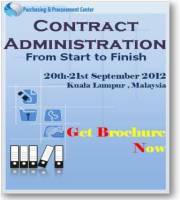 This comprehensive 5 days programme aims to provide procurement staff, who are practitioners in contract management and are involved in the management of complex contracts, with the commercial knowledge and skills, to effectively and efficiently manage and control the processes associated with contract management. 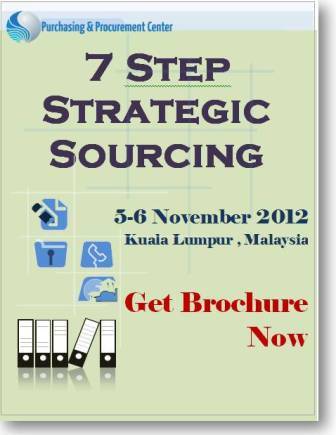 Additionally it will provide a range of tools and techniques to develop the relationships that exist between contractor and contracting entity and to ensure a successful outcome from any negotiations carried out. "We wish we had many more like Rob he has inspired us to develop procurement to a higher level of credability within our organisation." "Rob has a great enthusiasm for procurement and his style and personality is infectious." "Rob has generated a greater interest in procurement across the collective organisations we work with than any other procurement trainer." 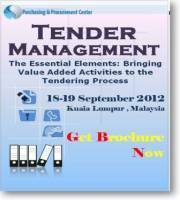 Undertake negotiation successfully to achieve best value for money outcomes. Get the full course outline sent to your email by filling in the Form on the Top Right.